Vertical Integration is a defining difference between Home Essentials and every other furniture rental company in the world. Only Home Essentials controls its manufacturing processes and factories so that each and every item is fabricated and constructed to our, and your, standards. This enables Home Essentials to modify what we make (customized furniture, made to measure) ensuring that you receive a stunning piece of furniture to your specifications. Simply no other company in Hong Kong possesses the sheer number of quality control personnel as Home Essentials and Eureka. 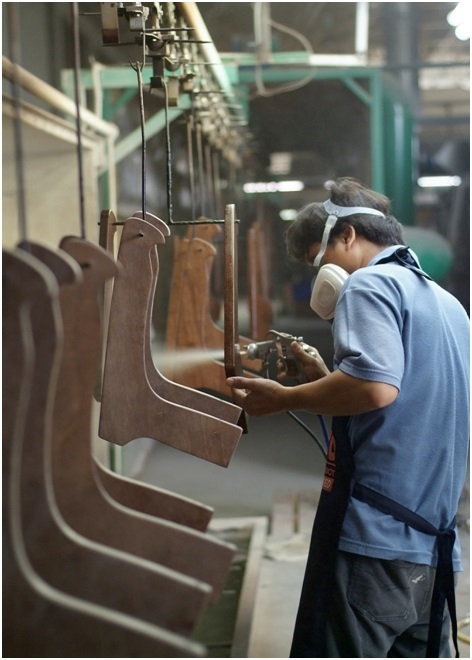 Our inspectors not only monitor the quality and construction of items from the factories that make our products globally, but we instill those same values to our associates here. Each and every items undergoes a coveted 12 point process to assess it viability for presentation to you, our customer. Yes, some items have been lovingly restored from previously leased condition and some items are discontinued or close out items from Home Essentials. Either way, it provides you an opportunity no other company can offer. Quality and unbeatable pricing.